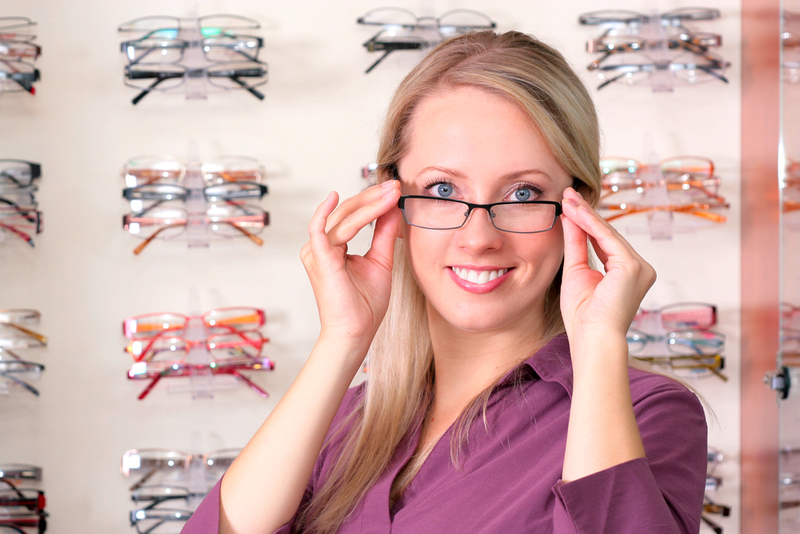 For many people who wear eyeglasses, the most difficult part of choosing a frame is deciding on what looks the best. By keeping in mind some simple tips, you can make the task of choosing the best Eye Wear Chandler, a much less daunting task. Consider your face shape when you begin refining your search for the perfect frames. Look for eye wear that matches your best feature and contrasts the shape of your face. Keep the size of the frames in scale with your head. Choose a lens that works well with the basic shape of your face. If you have a round face look for narrow frames with strong angles. Oval shaped faces look best with wider frames. Frames that are deeper than they are wide are good for oblong faces. Frames with a lot of detail on the top are best for faces with narrow foreheads and wide cheeks and chins. Rimless frames work well on triangular shaped faces. The diamond shaped face is somewhat rare. It is served well by frames that have detailing along the brows. Square faces can be softened with narrow frames that have less depth and more width. At VISION EDGE we recognize the importance of offering personal, professional and detailed advice to our valued patients. Dr. Stamper, OD and the expert team of eye care professionals are here to help you with all of your vision and Eye Wear Chandler concerns. We’re proud to offer expert advice, the latest frame styles to complement your facial features, lens cleansing and eye glass inspection at no cost to you, as well as quick adjustments and minor repairs. Contact us today to schedule an appointment with our expert eye care professionals. We understand how important your vision and eye health concerns are. Feel free to discuss your concerns with us. We’re here to answer all of your questions, evaluate your eye health concerns, and provide you with the best Eye Wear Chandler solutions. The eye care professionals at VISION EDGE EYE CENTER will be happy to provide you with expert advice and respond to all of your vision concerns. To schedule an appointment with our expert team, email us or call us today. We look forward to serving you!